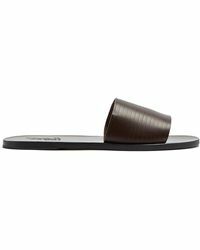 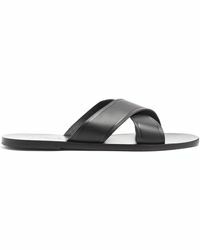 With each pair expertly handcrafted by skilled artisans using traditional techniques, Ancient Greek Sandals’ shoes embody understated luxury. Christina Martini and Nikolas Miniglou founded the label, after the design duo fell in love with Greece and its rich history. 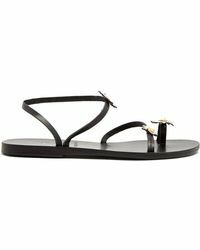 From winged designs to metallic and lace-up versions, the range of leather sandals looks to Greek gods, myths and sculpture as its inspiration. 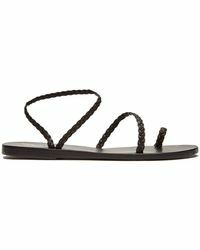 Combining comfort and style, a pair of Ancient Greek Sandals is an essential addition to your warm-weather repertoire. 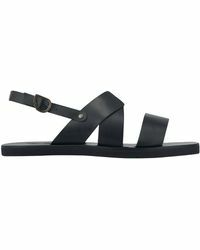 Browse and shop the full range of Women's Ancient Greek Sandals Shoes and Men's Ancient Greek Sandals Shoes.